The first 2011 WindsorEats Award being announced today goes to Sprucewood Shores Estate Winery for Favourite Lake Erie North Shore Winery. The battle was a tight one as Sprucewood beat out second place by only 4 votes, which goes to show you every vote counts! If you haven’t tried Sprucewood’s wines yet, or are just itching to try them again, this week is the perfect opportunity to do so. To celebrate the 2011 Eat Your City Culinary Week which goes until August 7, 2011, Sprucewood is offering a fantastic special at the winery where they welcome you to their waterfront winery to enjoy a picnic lunch any day during EYC 2011. They are offering their picnic baskets at 30% off the $25 typical retail price if you mention you would like the Eat Your City Special! Each picnic basket will feed a couple and contains a loaf of bread, antipasto dish, your choice of an assortment of specialty cheese, and proscuitto or salami, hummus dip, and a dessert. Purchase a glass of wine ($5) and enjoy the outdoors on one of their patios or balconies, or right down by the water on our beachfront. 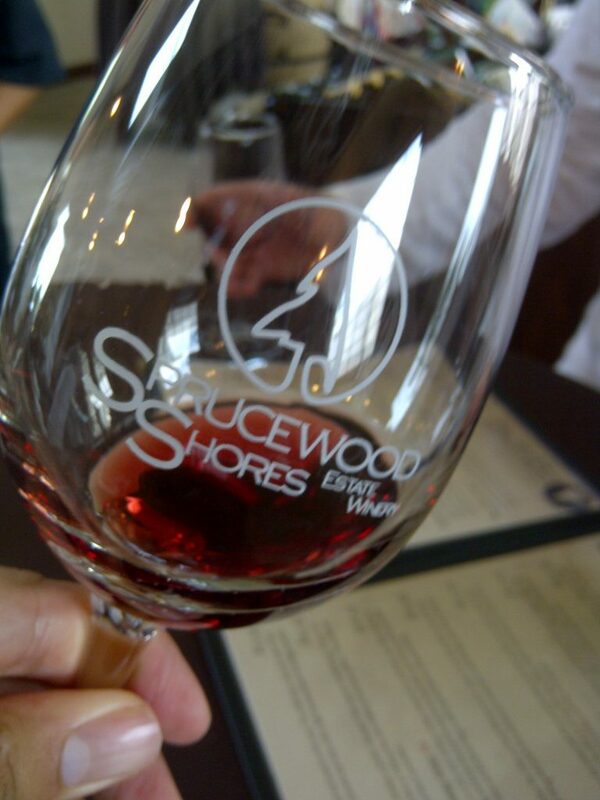 While you’re at Sprucewood, sample their selection of 14 different wines all grown in their vineyards here in Essex County. The tasting fee is included in this deal! Congratulations to the Mitchells and all the staff at Sprucewood on a well deserved award!